Dr. Elli Emmons and Dr. Behm of City Square Dental are dedicated to giving you the best dental experience possible so your teeth are healthy and beautiful for years to come. Get to know them and the office on a more personal level before you even come into the office! Make an appointment with our experienced doctor today! Dr. Emmons loves spending time with her patients and is dedicated to providing quality comprehensive dentistry. She believes in providing compassionate care to all of her patients within a state-of-the-art setting. Dr. Emmons began her education at the University of Illinois where she earned a Bachelor of Arts in Anthropology. After graduating with honors at U of I, she was accepted to the Northwestern University Dental School. There, Dr. Emmons enjoyed a busy curriculum in the classroom and the clinic while starting a family. After her graduation, Dr. Emmons began practicing dentistry in a private practice in Iowa City where she remained for 3 years. Her husband, Dr. Joseph Emmons, took a position as an Internal Medicine physician for Centegra Primary Care in Woodstock, Illinois, spurring their move back to Illinois. After 6 years as an associate dentist, in 2004 Dr. Emmons opened her own dental practice for general dentistry in Woodstock, Illinois where she continues to practice and live today. 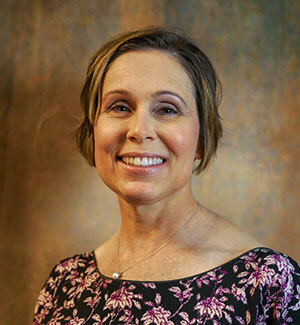 Dr. Emmons is an active member of the American Dental Association, the Illinois State Dental Society and the McHenry County Dental Society, in which she is a past board member. Family life is high priority for Dr. Emmons. Her 2 children, Madeleine and Jackson, are involved in school and many extracurricular activities. When not spending time at the dental practice or with her family, Dr. Emmons enjoys books, music, and the company of her pets. Dr. Behm has always wanted to pursue a career as a dentist, so after years of being a dental assistant, she followed her dream and went to dental school. After majoring in Kinesiology and graduating with honors from University of Illinois at Chicago, she attended Midwestern University College of Dental Medicine and graduated at the top of her class. Her education was taught using the latest technology and equipment to ensure the most comfortable and quality care for her patients. Dr. Behm is an active member of the American Dental Association, Illinois State Dental Association and McHenry County Dental Society. 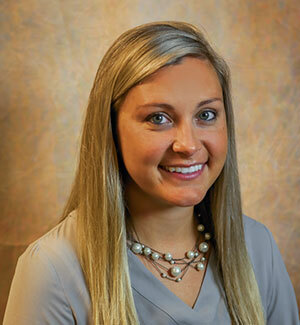 Dr. Behm was born and raised in Woodstock, IL and is happy to keep her roots local. She is an animal lover that loves running with her dog Zigee. In her spare time she enjoys scuba diving and snowboarding with her boyfriend Graham.